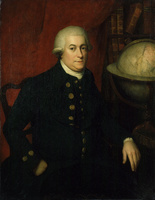 PÉREZ HERNÁNDEZ, JUAN JOSEF, naval officer and explorer; b. c. 1725 in Majorca, Spain; d. 2 Nov. 1775 at sea off the Californian coast. Little is known of the career of Juan Josef Pérez Hernández before 1767, when he entered the department of San Blas (state of Nayarit, Mexico), the administrative headquarters of New Spain’s west coast posts north of San Blas. 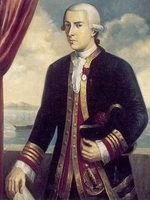 A graduate pilot, he had previously .served on the Manila galleon route and was of sufficient prominence to be included in the junta convoked at San Blas in 1768 by Visitador José de Gálvez. The junta, in response to reports of Russian expansion east from the Aleutians (Alas. ), planned the colonization of Alta (present day) California. In February 1769 Pérez, in command of the packet-boat Príncipe, carried one of the first shiploads of colonists to San Diego and Monterey, and in subsequent years he captained vessels which supplied the new settlements. Although only a frigate ensign, Pérez was chosen in 1774 by Antonio María Bucareli y Ursúa, viceroy of New Spain, to head an expedition to ascertain the trend of the coastline north of Alta California and to scout for signs of Russian activity. Command of the expedition should have fallen to an officer of higher rank than Pérez, but at the time no one in the department, one of the most unhealthy and least desirable bases in Spanish America, outranked him. Pérez, in the frigate Santiago, sailed from San Blas on 25 January and called at San Diego and Monterey. He left the latter port in June 1774 with instructions to reach at least 60°N latitude, make formal acts of possession south from that point, scout any foreign settlements, and gather information on the coastal Indians. After sailing northwest and then north, Pérez sighted land near the present Alaska-Canada border on 15 July. The next day, offshore of the northernmost of what are now called the Queen Charlotte Islands (B.C. ), the expedition encountered the Haidas and established their willingness to barter furs for cloth, beads, and pieces of copper. Pérez continued north, reaching 55°30´ N on 30 July, but he was discouraged from going farther by unfavourable winds, fogs, currents, and dangerous breakers. Sailing south along what he believed to be the mainland, but which was actually Vancouver Island, Pérez discovered on 8 August an opening which he named Surgidero de San Lorenzo (Nootka Sound). The next day his crew traded with the Indians (Nootkas) and gave them presents of Californian abalone shells. The Nootkas stole from Esteban José Martínez, the ship’s second officer, several silver spoons which members of Captain James Cook’s expedition four years later would cite as evidence of previous Spanish presence in the area. Prevented by contrary winds from entering the sound or sending a party ashore, Pérez continued south. He sighted the fog-shrouded coastline only occasionally thereafter. The Santiago sailed by the entrance to the Juan de Fuca Strait; Martinez later claimed that he had pointed the opening out to his commander, but Pérez had been reluctant to explore it. They saw a large mountain, which they named Sierra Nevada de Santa Rosalia (Mount Olympus, Wash.), and the smoke of many Indian villages. The Santiago, its crew sick with scurvy, sailed south to San Blas without making any further discoveries of note. The results of the first documented European visit to the coast of present-day British Columbia were meagre. Pérez had not made the formal acts of possession necessary to secure Spain’s claim to sovereignty along the northwest coast and had failed even to undertake a detailed reconnaissance of the coastline. The expedition nevertheless established the belief in the minds of Spanish officials that Spain had a right, through discovery, to Nootka Sound. Today the diaries of Pérez, Martinez, and the Franciscans Juan Crespi and Tombs de la Pena Saravia are valued for ethnographic data on the customs and life of the Nootkas at the time they met the whites. Bucareli, disappointed by the failure of the expedition, ordered Pérez to prepare for another voyage north the following season. In the mean time, however, a contingent of competent young naval officers, sent by Madrid expressly to counter the threat of Russian encroachments on the northwest coast, arrived in San Blas. 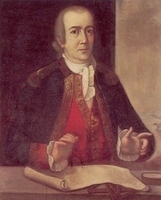 Bruno de Hezeta was placed in command of the 1775 expedition, and Pérez was relegated to second officer on the flagship Santiago. His name seldom appears in the account of events. The two voyages undermined his health, since on both trips the diet was so poor that most of the crew developed scurvy before their return to Alta Californian ports. Despite two months of recuperation at Monterey, Pérez died shortly after leaving for San Blas on board the Santiago. He was buried at sea with a mass, a salvo of muskets, and a cannonade. Archivo General de la Nación (Mexico City), Sección de Historia, vol.61, exp.14, Diario de la navegación y exploración del piloto segundo don Esteban José Martínez – 17 Dec. 1774; Juan Pérez, Diario (1774). Juan Crespi, “Diario” and Tomás de la Peña Saravia, “Diario,” The California coast, a bilingual edition of documents from the Sutro collection, ed. and trans. G. B. Griffin and D. C. Cutter (Norman, Okla., 1969), 203–78 and 135–201. Cook, Flood tide of empire, 52–56, 62–82, 121–22. M. E. Thurman, The naval department of San Blas; New Spain’s bastion for Alta California and Nootka, 1767 to 1798 (Glendale, Calif., 1967), 78–80, 119–22, 125–40, 145–46. J. G. Caster, “The last days of Don Juan Pérez, the Mallorcan mariner,” Journal of the West (Los Angeles), II (1963), 15–21. D. C. Cutter, “California, training ground for Spanish naval heroes,” Calif. Hist. Soc., Quarterly (San Francisco), XL (1961), 109–22. R. F. Heizer, “The introduction of Monterey shells to the Indians of the northwest coast,” Pacific Northwest Quarterly (Seattle, Wash.), XXXI (1940), 399–402. F. W. Howay, “The Spanish discovery of British Columbia in 1774,”, Report, 1923, 49–55. W. N. Sage, “Spanish explorers of the British Columbia coast,” CHR, XII (1931), 390–406. Warren L. Cook, “PÉREZ HERNÁNDEZ, JUAN JOSEF,” in Dictionary of Canadian Biography, vol. 4, University of Toronto/Université Laval, 2003–, accessed April 24, 2019, http://www.biographi.ca/en/bio/perez_hernandez_juan_josef_4E.html.